Bundaberg’s Rotary Lodge has moved on-site to a house within the Bundaberg Hospital campus. 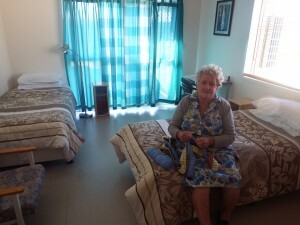 Managed by the Bundaberg Health Services Foundation, a local charity supporting patient services, this is the culmination of many years of lobbying by the Foundation to having accommodation on-site within the hospital campus, and after 3 1/2 years of leasing a premises at 116 Woongarra Street. Rotary Lodge provides reasonably priced accommodation for patients and families visiting the Bundaberg Base Hospital, Friendly Society Private Hospital or Mater Hospital. 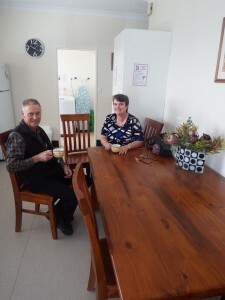 “After months of renovations from a team of dedicated local tradesman, many of whom are members of various Rotary clubs, the Lodge was moved at the weekend and opened on Monday, July 21 with three new guests,” she said. “The new Lodge has many advantages. Not only is it closer to Bundaberg Hospital for the many North Burnett patients who need to access medical treatment, but it also means we will no longer have to pay a $33,000 a year lease to keep the facility operational. “Discussions with the Wide Bay Hospital and Health Service (HHS) means we will only need to pay a nominal lease of just over $7000 to cover asset maintenance costs,” she said. “The HHS will also continue to support the project with building maintenance once renovations are complete, linen supplies and lawn maintenance. “This is a wonderful outcome and beneficial partnership which will ensure this facility is an important part of the health infrastructure around the hospital campus. Costs to modify the home to Class 1B standards were achieved through Foundation funds, community/Rotarian support and a specifically established Morrison Marshall Fund (donations from a deceased gentleman’s family in Biggenden) who wanted to see Rotary Lodge continue as a viable option. Members of the public and local business can forever have their name on show at the new Rotary Lodge by supporting the latest fundraising campaign to help cover the costs of the renovations.